It is hard to believe that the Autumn Equinox is this Friday, the 22nd of September. Warm days and cool nights, picking flowers and harvesting vegetables. I’m making lots of soup with those root vegetables and squash ! 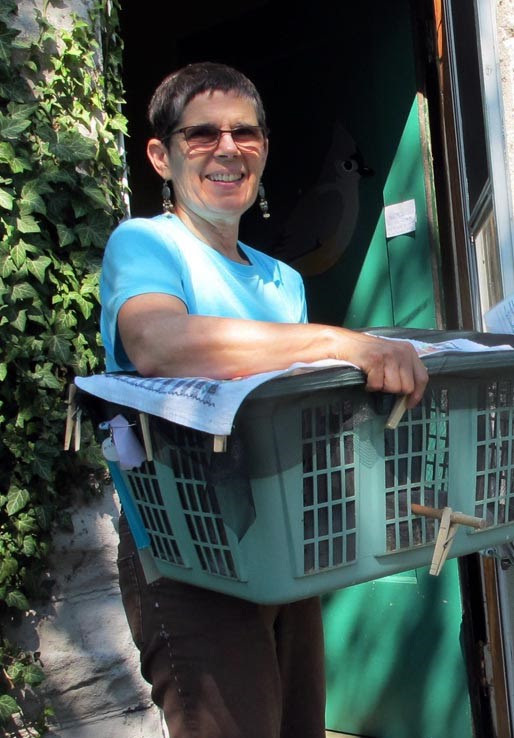 “This is my 2nd season volunteering at BCWC. My shift is 7-9am on Tuesdays. I clean cages and on the rare occasion there’s extra time I wash dishes. When a call goes out for extra help, I try to participate but I volunteer with other groups, so it doesn’t always work into my busy retiree schedule. I walk dogs at HSHV, count butterflies, twice a month I am an ESL (English as a Second Language) conversation partner at Jewish Family Services and twice a month volunteer at Huron Valley Women’s Prison. Mix in getting enough exercise and meeting friends for breakfast or lunch- it’s a good thing I’m retired since I don’t have time to work. Fall and winter finds me following the Spartans & Steelers and spring & summer I watch the Yankees. 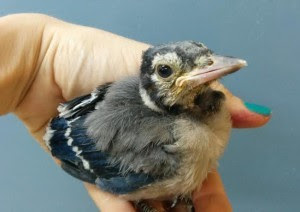 An excellent article that illustrates what we do at the Bird Center from intake to release, and the many many hours of work given by our incredible volunteers, interns and staff . 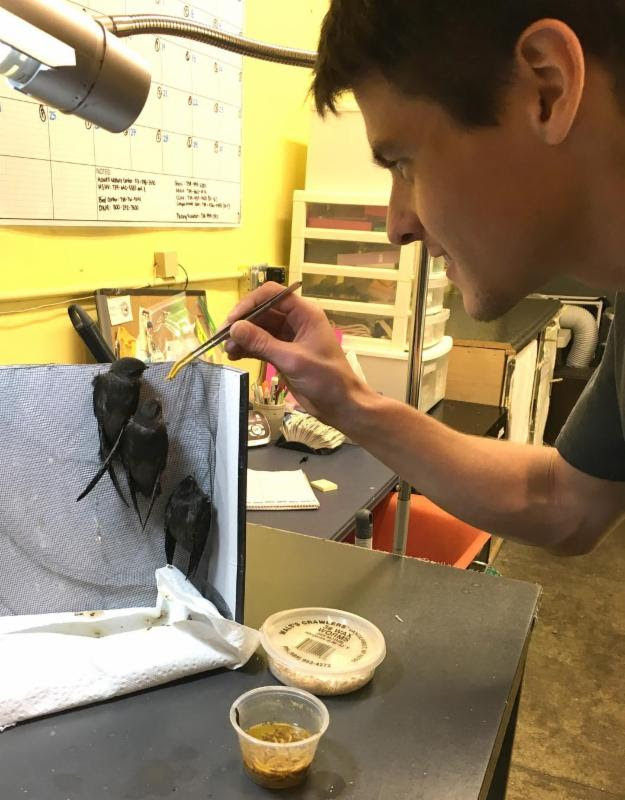 Volunteer Zach Mobley feeding mealworms to young Chimney Swifts. “I am an Ann Arbor native recently moved back to the area after completing my Masters degree in Bioethics at Chicago’s Trinity International University. My interests lie in research and environmental ethics, particularly instituting regulatory programs for Controlled Substance Licensing Institutional Animal Care and Use Committees (IACUC). My professional background is in biotechnology/animal science and am currently working quality control in a chemical engineering lab. 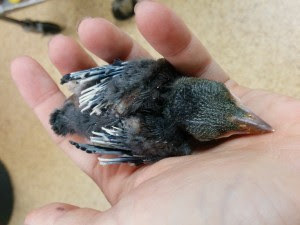 I have participated in several avian field research projects seeking out and monitoring individual nesting sites and collecting environmental data. I spent a summer in Nevada’s Virgin River Valley collecting data on the endangered Southwestern Willow Flycatcher and their threatened Salt Cedar marshland habitat. 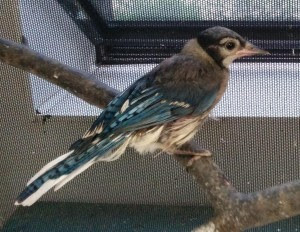 This is my first volunteer season at the Bird Center. 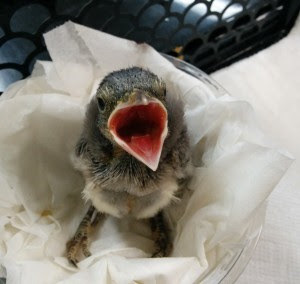 I spend my time there administering regular feedings to hatchlings and fledglings, maintaining nest baskets, and assisting interns with medical applications. I am hoping to continue helping the center and further develop my songbird knowledge as an intern next season! THANKS , ZACH FOR ALL YOU DO TO HELP THE BIRDS !!! 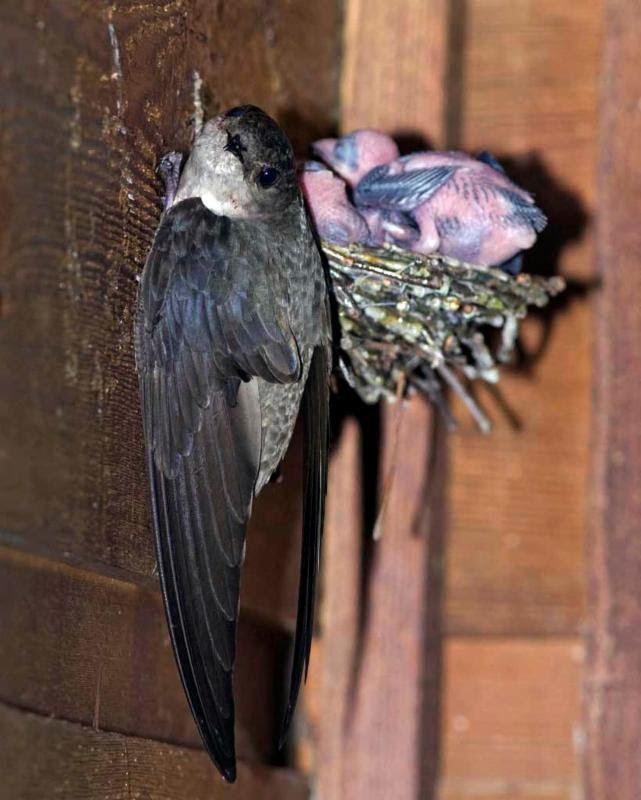 Chimney Swift mom and 2 newborn babies in nest. It’s a precarious situation as you can see. 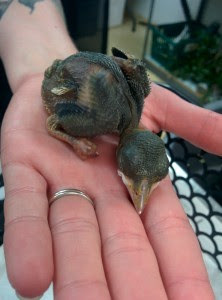 Often roosting in residential chimneys, at times they fall out of the nest when only a few days old. 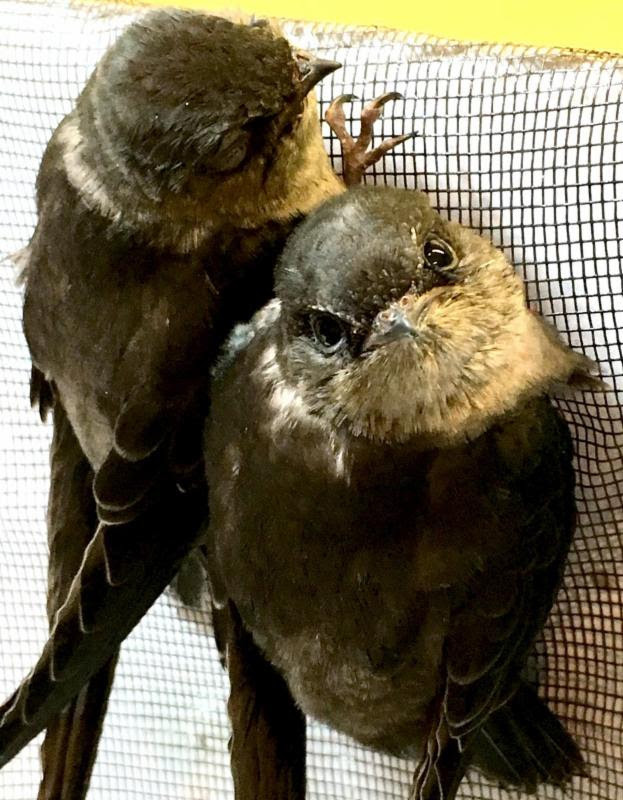 Our swifts were brought to us by homeowners who discovered these tiny babies in their fireplace. 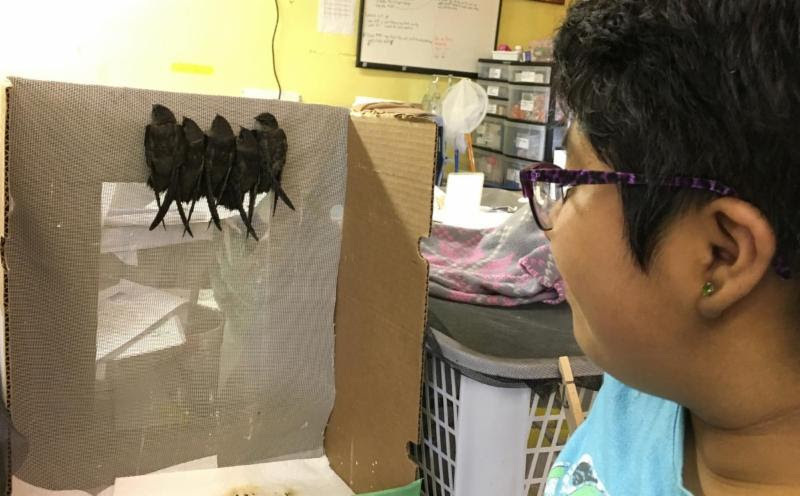 My granddaughter Luisa observing young swifts. They are extremely social, looking at us and chattering loudly when we came close. Swifts spend most of their lives on the wing, catching insects as they fly. 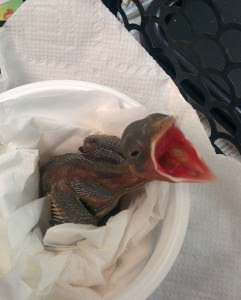 They do not perch, but cling to vertical walls in chimneys. Have you taken a walk or bike ride in Dexter’s Mill Creek Park ? It’s especially beautiful at this time of year along the boardwalk.